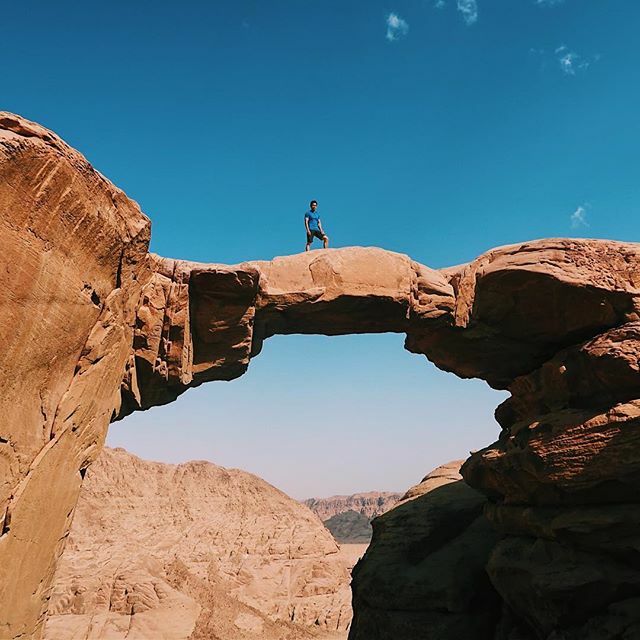 If you like to hike and scramble and see the world from ‘up there’, this 1-day Wadi Rum desert tour is for you. In the morning we hike and scramble Burdah rock bridge. In the afternoon we take the jeep to visit some of the main sites in Wadi Rum desert. At the end of the day, you watch the sun set. And after spending your night under the stars you wake up to the rising sun. 1-Scramble to a spectacular natural arch high up on Jebel Burdah. 3-Walk through the Canyon . 7-Next morning back to the village. Optional CAMEL RIDE from the camp to the village*.